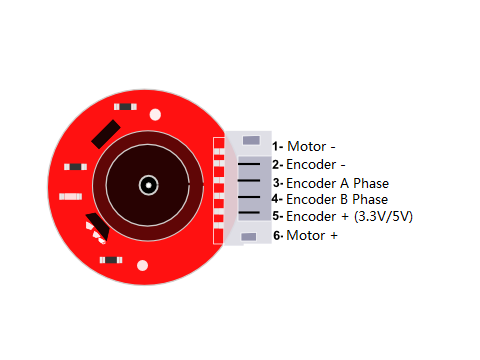 This is a metal geared DC motor w/Encoder. It is a 6V motor with a 20:1 metal gearbox and an integrated quadrature encoder that provides a resolution of 11 counts per revolution of the motor shaft, which corresponds to 224.4 counts per revolution of the gearbox’s output shaft. These units have an 8 mm length, 4 mm-diameter D-shaped output shaft. This motor is intended for use at 6V, though the motor can begin rotating at voltages as low as 1V. This motor is an ideal option for your mobile robot project.